If you’re like me and purchased a humidor along with a bundle of new cigars without doing much research on how to season a humidor, have no fear, you’ve come to the right place. This guide will show you how to season a humidor, the easy way, with detailed step-by-step instructions. The best part is that it only takes items that you have around the house. Before we jump into how to season a cigar humidor, let’s start with the basics. 1 Why Do I Have To Season A Humidor? 2 What Do I Need To Season A Humidor? 3 How Long Does It Take To Season A Humidor? 5 How Do I Tell If I Seasoned A Humidor Properly? Why Do I Have To Season A Humidor? Seasoning your cigar humidor is the first step in protecting your cigar investments. Proper humidification of cigars is important to keep cigars from becoming too dry or growing mold. You can’t just keep your cigar collection in any old box and still be able to smoke them in more than a week or two. 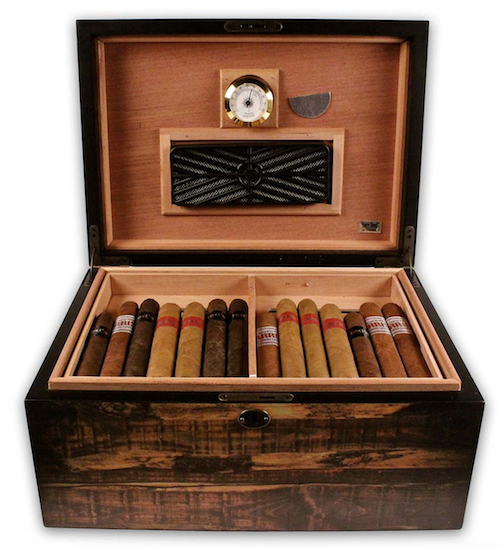 All cigar humidors have one thing in common – Spanish cedar wood. This wood lines the interior of your humidor because it effectively retains moisture as well as giving them a woody scent. Seasoning your humidor really means that you are preparing this wood so that it doesn’t soak up all the moisture from your cigars. Basically, tobacco in your cigars has oil and that oil is what makes them burst with flavor. By seasoning your humidor, you will preserve the oil so it can continue to mature and retain the flavors that the cigar maker intended. 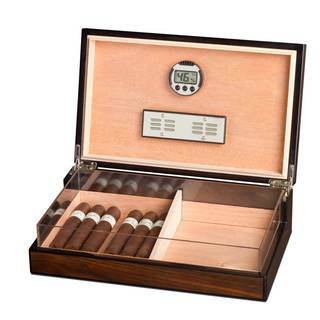 In summary, if you are going to buy more than 1-2 cigars at a time, a cigar humidor is a great investment so that you can build your collection and keep your cigars fresh. That is, if you season your cigar humidor properly! What Do I Need To Season A Humidor? There’s a couple different ways to season a cigar humidor. 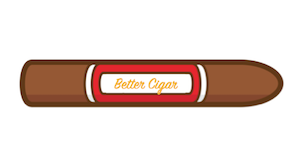 You’ve probably seen a lot of them across various cigar forums but we want to share the easiest in terms of execution as well products needed. That’s it. Distilled water is extremely important because it lacks any type of chemical compound that may ruin your cigars. For example, your tap water may have some contaminants that are safe to drink but you don’t necessarily want these contaminants exposed to the wood in your humidor for months to years, much less the cigars. Most of the time distilled water is used for aquariums – so you may luck out finding some in the house if you have a freshwater aquarium. You can find distilled water at a local drugstore for about $2.00 – $3.00 for a gallon which will be plenty. You really only need 2 shot glasses. How Long Does It Take To Season A Humidor? To season a cigar humidor properly, you will need at least 3-5 days. 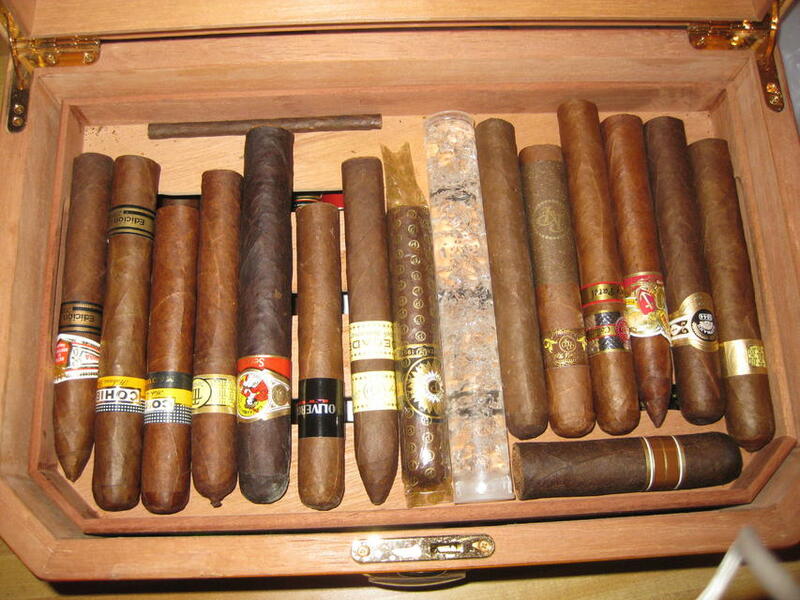 However, it truly depends on the size of your humidor as well as the environment where your humidor will be stored. Make sure your humidor has enough time to soak up as much moisture as the Spanish cedar wood needs. If you have some new cigars on deck that need to be seasoned, you may want to pick up a Bovada humidification pack and a ziplock bag so that you can take your time seasoning your humidor without having to worry. Otherwise, they should be fine for a few days. If you’ve purchased a brand new humidor, the first step of the preparation process is to inspect the smell of the interior of the humidor. Does it smell like real cedar wood or do you sense a chemical smell? If you’ve purchased a humidor that does have a hint of glue, have no fear, we can start there. Keep in mind, if you don’t get rid of this smell, it may be absorbed by your cigars. If your humidor smells faintly like glue or a chemical smell: simply take a paper towel and wet it slightly. Do not make it dripping wet, you may even want to wring it out just to make sure. Now, simply wipe the entire interior down of your humidor with one layer of the damp cloth. It’s important that you do not make it too wet as it can warp the wood. Now, leave the humidor lid open for at least a day until all the moisture is completely dried up from the humidor. If your humidor smells of fresh cedar, then there is no need to risk damaging the wood with wiping down your the interior. 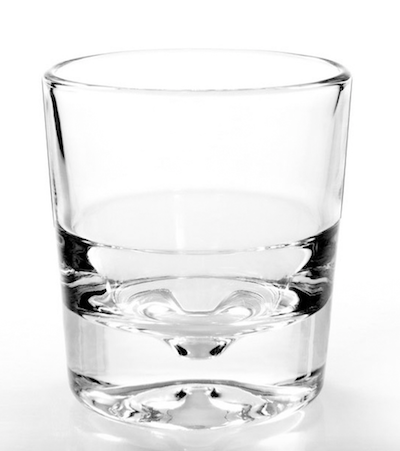 You simply need to just fill one shot glass with distilled water. You can use two shot glasses if you are dealing with a larger humidor to speed this process up. Now close the lid and wait 2-3 days. If necessary, top off the shot glass but watch out for any spills. You should have a hygrometer on hand, preferably a digital one that has been calibrate properly. (See our guide here on how to calibrate a hygrometer properly). It’s good to place this in your humidor along with the shot glass to monitor your humidity. You are aiming to get as close to 70 degrees Fahrenheit and 70% humidity for your cigar humidor at all times but your humidity will read high with the shot glass inside so don’t be alarmed. You can’t damage your humidor this way as long as it’s not soaking wet. After 2-3 days of having the shot glass inside of your humidor, remove them and leave your hygrometer and your two-way humidification device inside of your humidor for 24 hours. After 24 hours, you should have a solid read on whether or not the seasoning was successful. How Do I Tell If I Seasoned A Humidor Properly? If your reading is close to 70% humidity, you’re ready to introduce your cigars slowly. I would recommend starting with introducing 10-20 cigars at a time. This allows the humidity to adjust. Even if your humidity is mid-60’s, it’s okay to go ahead and loading in your cigars. Just make sure it doesn’t fall too much within the next week. It’s normal for it to dip a bit once you introduce the cigars though it should bounce back up. 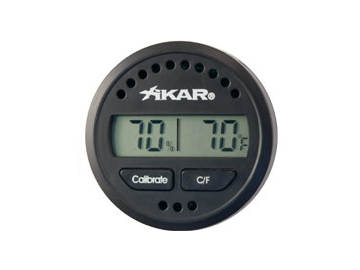 If your humidity reading is a few points above 70, this is perfect! Go ahead and add a few more cigars than aforementioned 10-20 since there’s more moisture to go around. If the humidity isn’t high enough after 2-3 days of having the shot glasses inside, put the shot glasses back in for another 1-2 days and try again. If you still can’t get there, I would recommending checking for a leak. This completes our guide on seasoning a humidor – the easy way. The main ingredient is patience, which is often hard to have once you are ready to start jumping in head first into cigars. However, patience with seasoning your humidor can save you many headaches and ensure you and your cigar buddies are enjoying cigars to their truest potential.